The Tempest…Coming Soon! 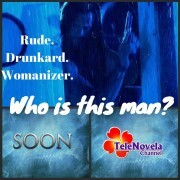 | TeleNovela Channel - Bringing you closer to lifes drama. Home > Featured > The Tempest…Coming Soon!